"Someone just asked us if we would do an ombre carpet up their stairs, working with the ombre wallpaper up the wall," says New York-based furniture and wallcovering designer Brett Beldock. "They want this cocoon feeling. Our surroundings have to be really warm and comforting now ... everything is crazy and we're all up in the air." We've asked Beldock and two other interior designers — Washington D.C.-based Marika Meyer and New Yorker Dan Mazzarini — for details on what we'll see in home design in the coming year. For years, Americans were in love with open floor plans and large furniture. Now, "people want more intimately scaled spaces," says Mazzarini. "Not Victorian-small, but not this kind of 'everything open' living." In response, we're seeing "a temporary pause on oversized things," he says, as people feel like nesting. Along the way, the color palette is becoming equally cozy. Popular neutral colors have "been so cool for a number of years," Meyer says. As 2019 approaches, "we're coming back into more warm neutrals." Meyer agrees that patterns are increasingly important. 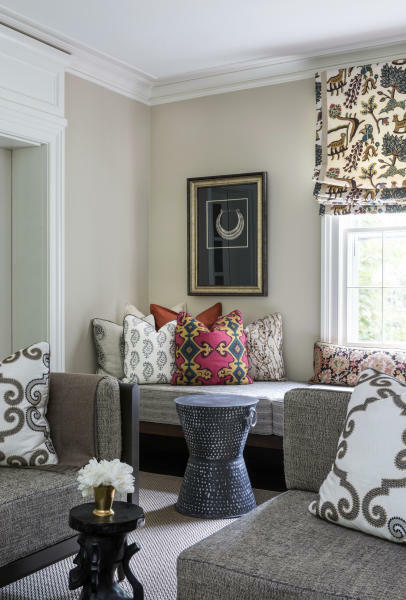 As part of a "return to traditionalism" in home design, she sees many people opting for "heavy layering of very traditional patterns." 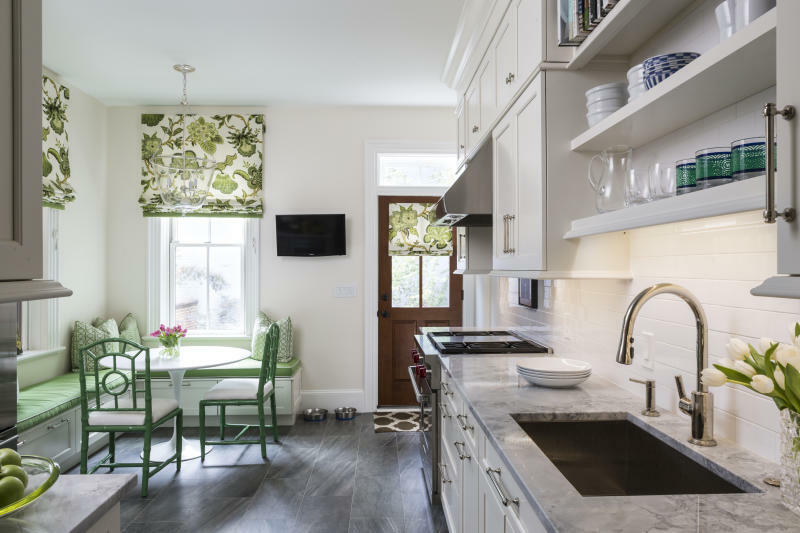 Although many patterns incorporate a mix of colors, expect to see plenty of rich shades of green in fabric and wallpaper patterns. While blues and indigos have been huge in recent years, Meyer says that in 2019 "green is the new blue." It's likely to be used in everything from upholstery patterns to kitchen furnishings. "There have always been the antique lovers that we've worked with," says Mazzarini. But now, a growing number of people "are responding more positively to things that have an actual sense of history." Meyer agrees: "More and more clients say to me they're interested in a beautiful wood antique chest," she says. This trend is quite practical in the smaller-scale homes and condos favored these days, Meyer says, because people have a real need for storage space. If a client chooses an antique wooden chest instead of a Parsons table, "it's concealed storage." "Everyone's using warm woods and walnuts," she says, or "actually doing a fireplace, and around the fireplace having your extra wood in a niche on each side that's the height of the whole wall." EDITOR'S NOTE: Melissa Rayworth writes about lifestyles topics for The Associated Press. Follow her on Twitter @mrayworth.